Crouton Ramone? Okay: so you can't spell it. Fortuneately, it's about math not spelling or salad. Looking for Crewton Ramone's House of Math? Close. Croutons are nice and we could even use them as manipulatives, but the name's Crewton Ramone...not Crouton Ramone. Next time ask someone who knows. Thanks for searching for me though. Also you might want to become a fan and keep updated on Face Book. 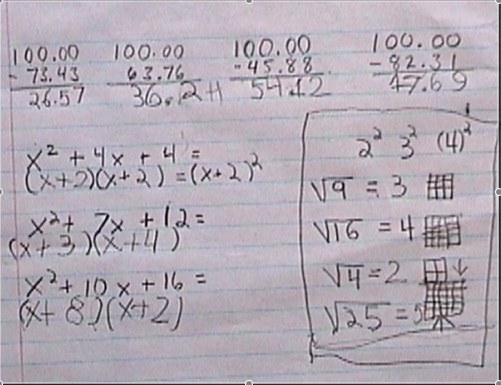 Real math done by a real child without tears, or fear. For the subtraction you will see why we emphasize building 9's and 10's. The algebra is just building rectangles, and of course square roots are easy when you can see the answers...all you have here is the symbols so of course it looks impressive. 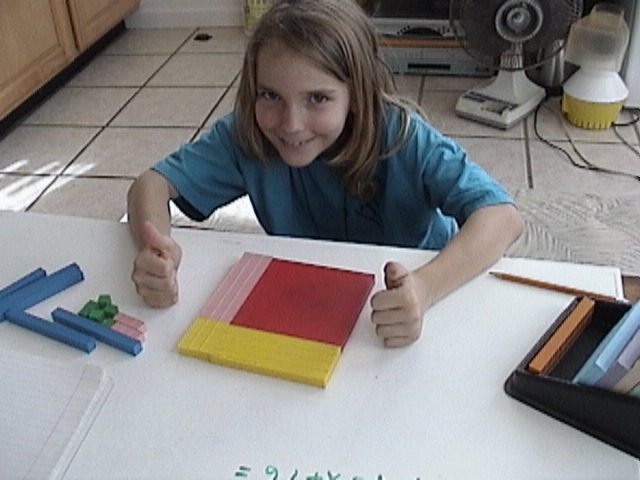 With the square roots you can see a little drawing of the blocks used to make this math fun and easy...even for a very young child. Go to Crewton Ramone's House Of Math from Crouton Ramone's page of mis-spelling. Best of all it's fun. Also check out my social media, facebook, twitter and instagram...I'm the only Crewton Ramone.